Ben & Jerry's should stop misleading consumers that its ice cream is "all natural" when it is made using synthetic vanilla, corn syrup and alkalized cocoa -- among other ingredients "not found in nature," the Center for Science in the Public Interest said. At least 48 out of 53 Ben & Jerry's flavors make the "all-natural" claim even though the flavors contain man-made ingredients, the group said. "Natural" is among a handful of food label claims that are virtually meaningless. It's an unregulated claim often intended to play on consumer desires to eat healthier. "...It's a stretch to call any of them 'natural,'" CSPI executive director Michael F. Jacobson said in a statement. "Ben & Jerry's sylvan labels notwithstanding, these ingredients come from the factory, not the farm. And slapping an 'all natural' label on the products certainly implies that the products are top quality and deserve to fetch a higher price." 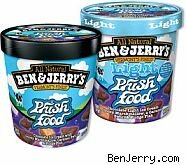 Ben & Jerry's -- once a small Vermont-based company and now a division of the European conglomerate Unilever -- did not immediately respond to a request for comment from Consumer Ally. The Center for Science in the Public Interest, which has become the nation's food police, regularly challenges food label claims and the lack of regulatory enforcement. The group threatened to file complaints against Ben & Jerry's if the company doesn't either change ingredients or its label claims. The group said it reported Ben & Jerry's to the U.S. Food and Drug Administration eight years ago, but the alleged deception has only gotten worse since. As an example, CSPI cited "Chubby Hubby" ice cream, which contains alkalized cocoa, partially hydrogenated soybean oil and corn syrup, and "Dublin Mudslide," which has alkalized cocoa and anhydrous dextrose. The group sent Unilever a letter detailing the number of instances and the types of non-natural ingredients that were found in the Ben & Jerry's ice creams that claim to be "all natural." CSPI explained that alkali processed cocoa, a common ingredient in Ben & Jerry's ice creams, "changes the chemical structure, taste, and appearance of cocoa and reduces its acidity" and antioxidant content.